Flavorful chargrilled chicken kebab is the perfect party starter and is great for weeknight dinner too! 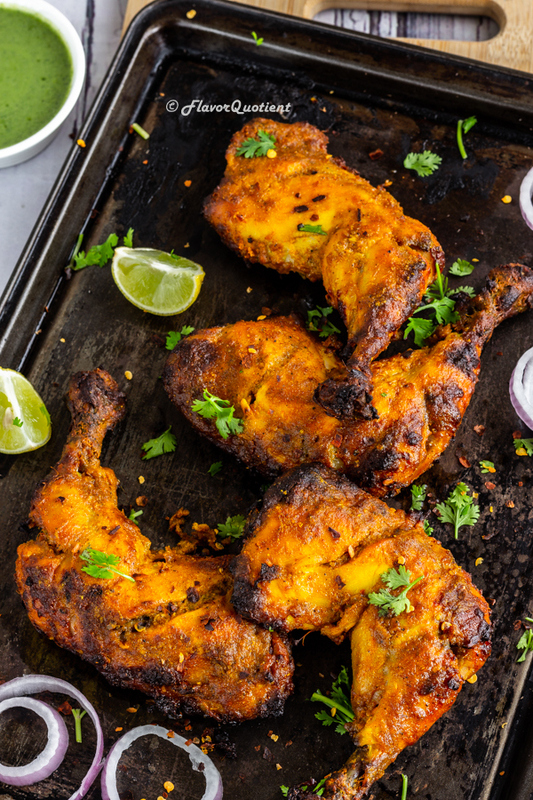 This yogurt marinated Indian spiced chicken kebab will be your favorite grilled chicken from the very first bite! I sometimes amaze myself! No, not with my culinary skill; I am yet to go a long way before I can boast my own culinary skill. I amazed myself with my stupidity! 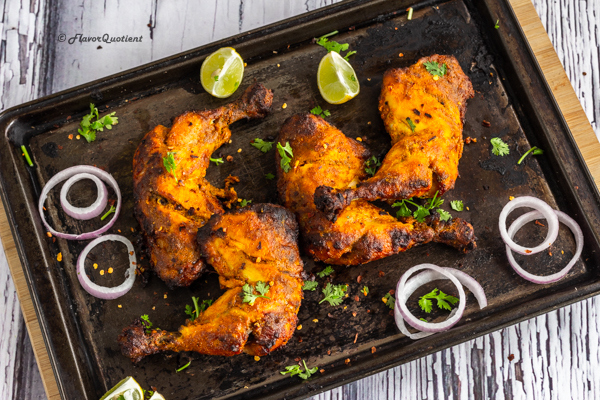 Today’s recipe of Indian spiced chargrilled chicken kebab should have been published in our blog long back because I had made this chicken kebab uncountable times and we simply freak out on this! Whenever I can’t think of anything innovative to make but still want to treat ourselves with good food, I quickly get some chicken and make this chargrilled chicken kebab. This chicken kebab is best made with skin-on bone-in chicken pieces, so you don’t even need to do any pre-prep for this amazing delicacy! 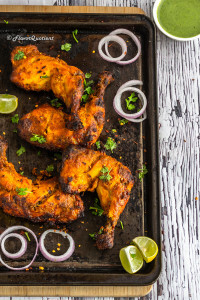 This Indian spiced chargrilled chicken kebab can be thought of as a second cousin to chicken tandoori which is the flagship smoky kebab from Indian cuisine. 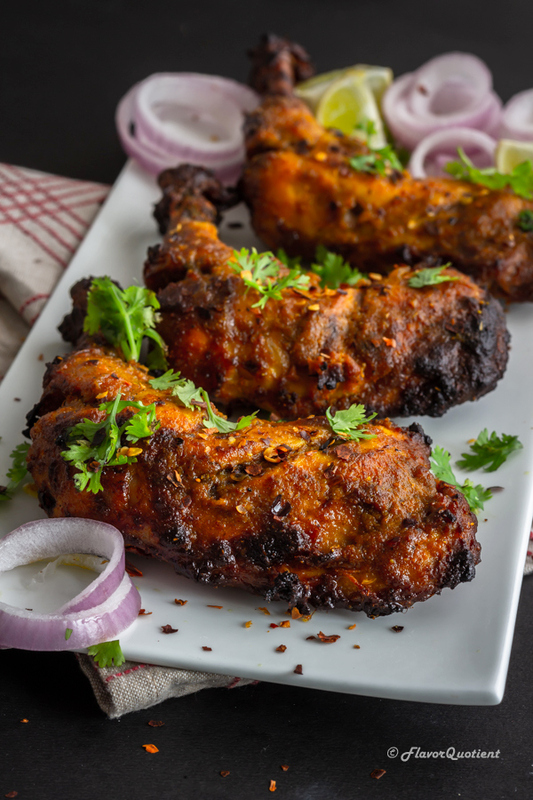 The spice combination in chicken tandoori is somewhat different than this chargrilled chicken kebab even though both are made with yogurt-based marinade. But chicken tandoori is traditionally made in big clay oven at a very high heat which is called tandoor; hence the name chicken tandoori. You can make my version of this chicken kebab very easily at home if you have a conventional oven or even a microwave with grilling feature. This chicken kebab is my go-to recipe for any weeknight meal, hence I don’t follow any hard and fast rule to make this; no hung yogurt or Greek yogurt or not even long marinating hours. You can simply use the plain yogurt that you have at hand, marinate it for 30 minutes and call it a day! A restaurant-style chicken kebab as tasty as this cannot get simpler than this! The new year has already started with a bang! I just spent an amazing vacation with family and holding a lot of happiness in my heart because of something very special (which will be revealed pretty soon!) I am rolling back to my regular schedule. This year we have planned to challenge ourselves to come out of our comfort zones and try much more exciting recipes than ever. Recipes which intimidate me at times are on my radar this year and I feel more determined than ever! We will need more love and support from all my lovely readers like you so that together we can achieve our goal which essentially means nothing but more flavorful recipes for you all to try! Sounds exciting? For me it sure does! Our blog is full of chicken recipes and I am well-aware of that. Chicken being a versatile meat enjoyed across globe, I feel that chicken recipes are endless and appeal to a large population. 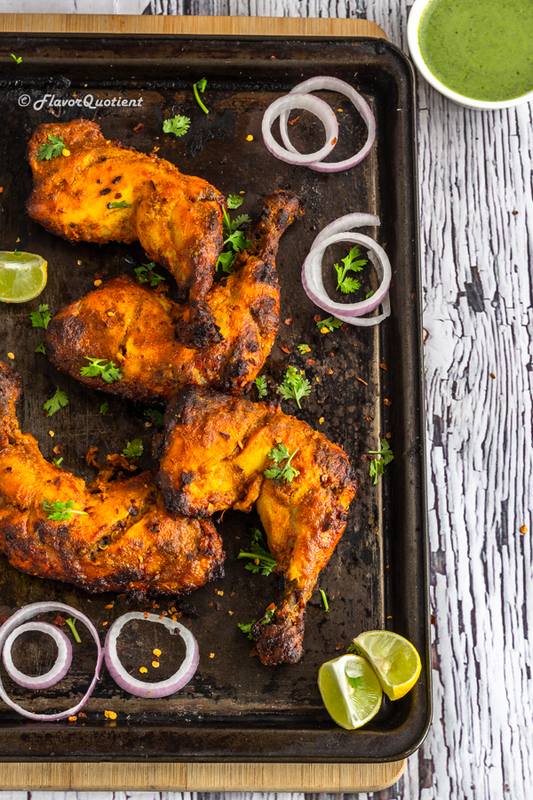 Today’s recipe of this chargrilled chicken kebab, though Indian-spiced, I am sure it will be loved by almost everyone from all parts of the world. My chicken kebab is not overtly spicy, but if you are a spice lover, you can crank up the amount of chili powder to your liking. And if you are not able to handle spice at all, completely omit chili powder and this chicken kebab will still be stunningly delicious! You can never go wrong with this scrumptious Indian-spiced chargrilled chicken kebab, trust me on this! Wash and thoroughly pat dry the chicken legs. Now make couple of incisions/cuts on the meaty portion of each leg to help spices to penetrate deeply. In a large bowl, add all the other ingredients – yogurt, ginger & garlic paste, turmeric powder, coriander powder, cumin powder, chili powder, garam masala, dry mango powder, sugar, salt, mustard oil and lemon juice. Whisk thoroughly to mix everything very well. Now rub in sufficient amount of the prepared yogurt based marinate into each chicken leg making sure that the mixture goes inside the nooks and crannies as much as possible. Once all the chicken is coated thoroughly, pour all the remaining marinate, if any, on top of the chicken pieces and cover the bowl with a plastic wrap. Chill it in the refrigerator for at least 4 hours or up to overnight. When you are ready to grill the chicken, preheat your oven to 200 C / 400 F and place the wire rack at the center of the oven. Place a grilling wire rack on top of a baking sheet and brush it with oil to avoid sticking. Now arrange the marinated chicken legs on the wire rack in a singe layer. Bake the chicken legs in preheated oven for 30 minutes. Then take them out, flip each leg over, brush them with oil and bake for another 30 minutes or until the internal temperature of thickest part of chicken registers 160 F in an instant read thermometer. After 30 minutes, chicken will be cooked through and will be nicely charred on the edges. Garnish the chicken kabab with freshly chopped cilantro and serve them warm with yogurt-mint chutney, onion rings and lemon wedges. Sprinkle some red pepper flakes or chat masala for that extra kick of heat! Enjoy!